Bicycles are very famous for traveling to nearby points. They also improve the health of a person who regularly uses it instead of bikes or cars. Bicycles as we know it today were not invented by a single person in present-day shape. Instead, its development took about 200 years and many inventors contributed to its design along the way. The word “Bicycle” was not the first name of bicycles. But, they got many names during the time of its development; the name bicycle was adopted later. The first known bicycle with a verifiable record was made by a German inventor Barn Karl von Drais. It was a two-wheeled human-powered bicycle. It didn’t have paddles, crankshaft and rubber tires as we have in today’s bicycles. Instead, these earlier bicycles had a wooden frame and wooden tires. They could be only propelled by pushing feet against the ground. 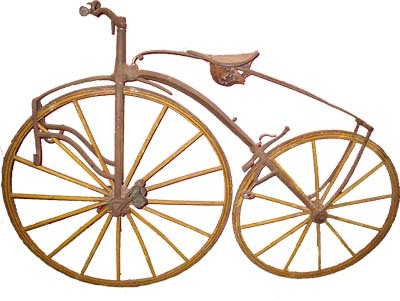 This first bicycle was named “running machine” – sometimes also called “Hobby Horse”. Mr. Drais got his first patent in 1818. Then, another patent in Paris and where his bicycle got the name “Velocipede”. Velocipede became very popular in France, but it couldn’t sustain its popularity for long. Finally, after 1820, velocipedes were rarely seen. 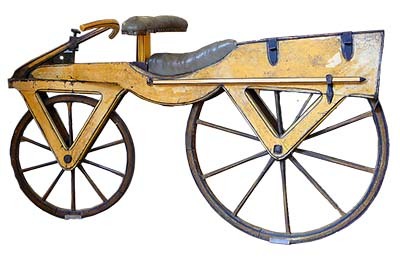 A very important improvement to the running machine (velocipede) was made by Pierre Michaux. He introduced pedals in it that were attached to the axle of its front wheel. The Introduction of pedals made the velocipede famous again for some time. But had not sustained its fame for long. Boneshaker declination came very fast because there was a flaw in its design. The flaw was the attachment of pedals to its front wheel, which made the steering difficult for a rider while paddling. 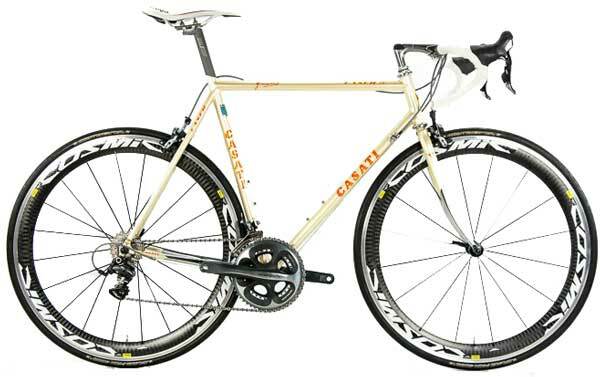 Another reason was its heavy weight that took a lot of effort to propel it forward with pedals. This cycle got the name “Boneshaker” because it was very shaky on roads. The father of this model is a French, named Eugene Meyer. Mr. Eugene modified boneshaker and made the front wheel of its bicycle large, and its rear wheel smaller for increased speed. Also, he made the frame of his bicycle very light which further contributed to high speeds. 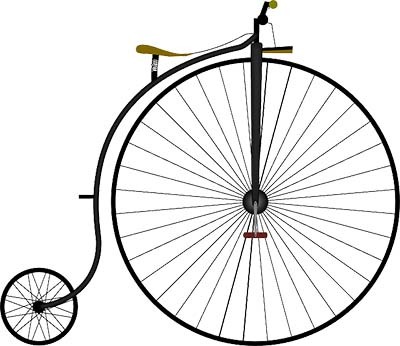 Mr. Eugene’s high-bicycle was the first to be called as a “Bicycle”. High-bicycles were very good at the ride, but they presented a risk of over-thrown to its rider if he braked suddenly or hit something. This risk was due to the large front wheel, which made this bicycle very unsafe. The next major phase in the development of bicycles was to improve its design and make it safer. The breakthrough came when John Kemp Starley invented safety bicycle. Safety bicycle had two equal sized wheels and a chain drive that was attached to its crankshaft and rear wheel. 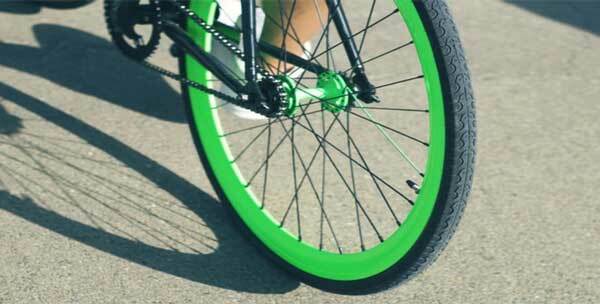 Since the bicycle had equal sized wheels, it didn’t throw the rider in front of the bicycle. The safety bicycle had completely replaced the high bicycle by the year 1890. An improvement to the tires of safety bicycle was made by John Dunlop. He invented Pneumatic tires (air filled tires) for bicycles in 1888. These tires provided much smoother ride than previously used rubber tires and were less bone shaky. 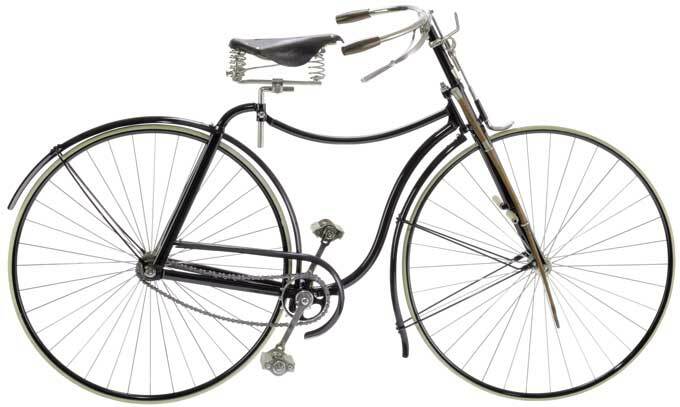 These improvements almost changed the shape of bicycles to its present-day shape. These bicycles were quite expensive, but their mass production had decreased their price. As a result, working-class men could afford it and found it a profitable investment. Modern bicycles are more comfortable and lightweight as compared to earlier bicycles. 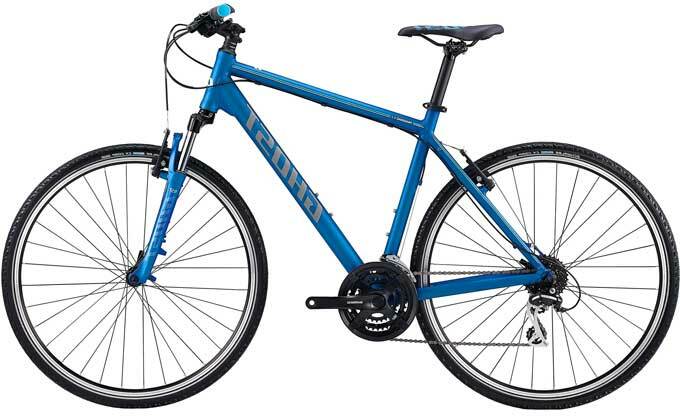 Today, you can easily find some of the following features in a modern bicycle. Capability to change gear – it is for changing between power and speed. Today, Bicycles have become an important component of the transportation, and everyone can afford it. Abdul Wahab, "Bicycle," in Science4Fun, April 13, 2019, http://science4fun.info/invention-of-bicycle/.